Acupuncture can treat any health problem, disease or illness. The World Health Organization has determined that Acupuncture can effectively treat between 50 and 100 different types of illnesses. It is excellent for improving general health, strengthening the immune function, relieving pain (shoulder, neck, back, elbow, knee, etc. ), reducing stress, increasing energy, relieving premenstrual or menopausal imbalance and other women's concerns, treating sports injury, stopping smoking, enhancing weight loss, rejuvenating facial tone and more. Although there are techniques in Chinese medicine for healing all conditions, there are some problems which can be dealt with more quickly by Western medicine In such cases your acupuncturist will recommend you contact a physician While some conditions are alleviated very rapidly by acupuncture, those conditions that have taken years to establish are only relieved with steady progress over time.As in any form of true healing the patient must be willing to take a responsibility for his or her own progress, to be fully determined to get well, and to be willing to change the habits or attitudes which may have been undermining his or her health. Chinese (or Oriental) medicine is an educational process in which the patient becomes more sensitive to his or her body, develops an increased awareness to recognize their own internal harmony as it relates to the greater whole of nature. With this awareness a patient is better able to maintain physical and mental well being (i.e., a balanced and healthy approach to diet, exercise, rest, nutritional supplementation and herbal remedies). In our practice we recognize the wisdom of treating the whole person—physical, emotional, mental, and spiritual and we honor the experience each person brings with them. Acupuncture does affect the nervous system and does affect the relay of pain signals. It also stimulates the body's own internal pain relieving response involving the endorphins and enkephalins. But the effect of acupuncture is deeper than just this. It affects a more profound response of the whole body. Some of the most dramatic news the West has publicized about acupuncture is about its ability to relieve chronic and acute pain. Although the nervous system relays pain signals due to physical trauma, pain is also often a signal from the body that energy is not flowing smoothly due to such factors as stress, improper diet, emotional strain, or poor circulation. By restoring and balancing the current of life energy, acupuncture revitalizes the nervous system, muscles, fascia, bones, blood vessels and organs, as well as enhances the circulation and relieves the conditions that cause pain. Can Acupuncture Improve A Person's Function and General Vitality? Yes. 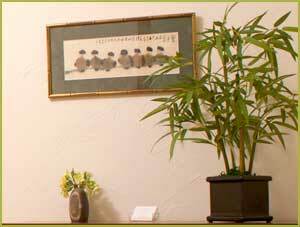 Acupuncture is probably one of the best and surest ways to improve and enhance immune function and overall vitality. As a preventative medicine it secures, restores, and normalizes the balance of life energy in the body. Oriental medicine considers that it is the strength and quality of the 'Zeng' (righteous) and 'Wei' (defensive) Qi that protects the body from being susceptible to illness. This function of immune strength and vitality can be strongly enhanced by acupuncture and herbs.